Occasionally in this crazy business of blogging, you run across someone who, instead of being a billion computer screens away, is closer than you could ever imagine. 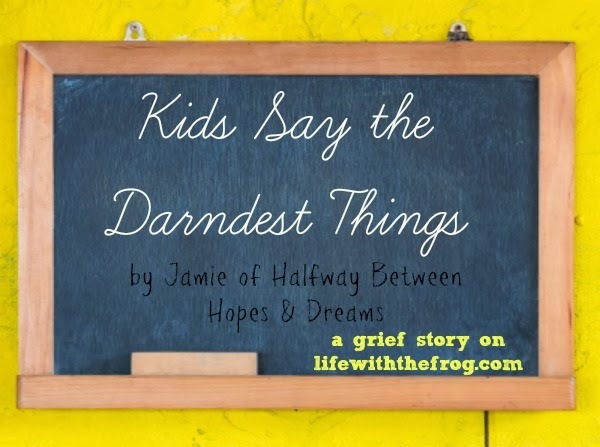 Jamie, from the blog Halfway Between Hopes and Dreams, is a fellow Midwest Mama who unfortunately knows about pediatric cancer and losing her oldest child, too. She is striving to live, and encourage others to live, the way her beautiful daughter Addie lived for almost 10 years. In 2012, my husband and I were well on our way to making our dreams come true. We had three kids, one dog, two cats, two frogs, a new house, and about a half-dozen home improvement projects to go along with it. 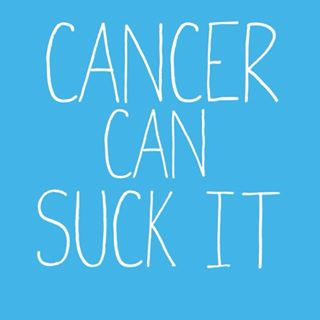 Like most people, we didn’t make room in our dreams for cancer. And when it barged into our lives we didn’t plan on it taking our 9 year old. At least not so soon. But that’s exactly what it did. 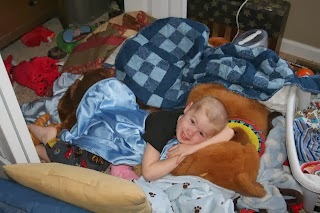 On March 20, 2012, Addison (Addie to us) was diagnosed with Acute Myeloid Leukemia. She started running a fever on March 14, which was the same day I found out I was expecting (unplanned) baby #4. A third doctor ran a blood test. Six days later she was gone. And yet, we’re still here – living, breathing, and trying to figure out how to put it all back together again. If you're a mom, then you've certainly collected your fair share of kidisms through the years. Some make us laugh. Some make us cry. Some make us cringe. 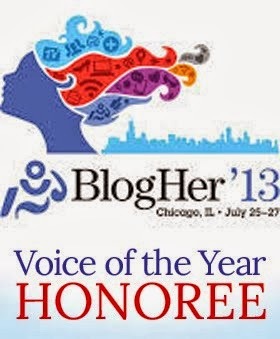 It's been my experience that those that make us cringe usually take place while waiting in the checkout line at Wal-Mart, but that's another post entirely. One of my personal favorites took place in my very own bedroom about three or four years ago. Addie and I were snuggled under the covers watching the 10 o'clock news. It probably wasn't a school night. OK, so maybe it was. Don't judge. Anyway, Rob McCartney was reporting on the latest in a series of robberies. He referred to the suspect as a "serial robber" to which 7-year-old Addie looked at me puzzled and said, "Who'd want to steal cereal?" It's not as if my steady stream of Facebook fodder ended with Addie's death. 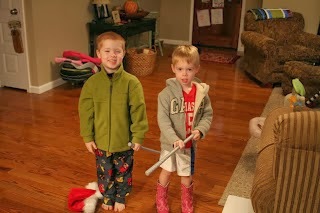 If you've had the pleasure of experiencing the dynamic duo that is Isaac and Tripp, then you know they keep life, umm, entertaining. "Mom," Isaac said after a particularly trying day. "I just keep forgetting to be good." Well, they keep it interesting anyway. 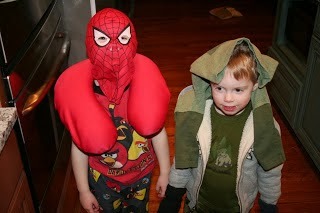 But the conversations that flow freely at our house might be a bit different than the ones that take place at yours. The topic of death is a frequent guest at our dinner table. So is God. And Heaven. You might think that's pretty heavy table talk and I'm sure it raises more than a few eyebrows when these things come up when we're out and about, but really it's not - especially when you have a 3 year and 5 year old involved. It's just...normal, I guess. "Mom, are there TVs in Heaven?" "Mom, does Addie have an iPad?" Yeah, I know, I'm probably going to get in trouble for that, but it's not like I was given a guide book for this. "How did Addie get up into the clouds?" You've got to believe me when I tell you I actually explained this one in a way that would make my Sunday School teachers proud, but I'm not sure Isaac and Tripp are buying it just yet. "I think she probably used a rope or something," Isaac said. There are those that make me cry. "Isaac, when is Addie coming back?" Tripp asked. "She's not," Isaac answered matter-of-factly. "But when is she coming back?" Tripp pushed. "She's not coming back because she died!" That's when I decided to step around the corner and into the bathroom. And that's when Isaac, not wanting to believe what he had just told his little brother, asked me, "How many minutes until Addie comes back?" "Mom, I wish we could all go to Heaven so we can be a family again." We are still a family and always will be. 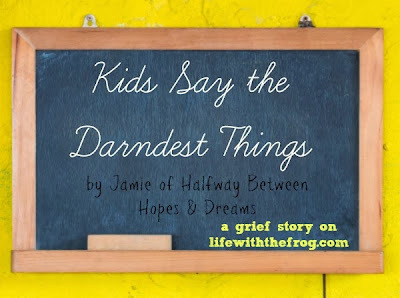 You can connect with Jamie on her blog and on her livelikeaddie page.